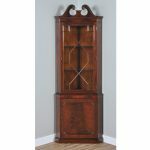 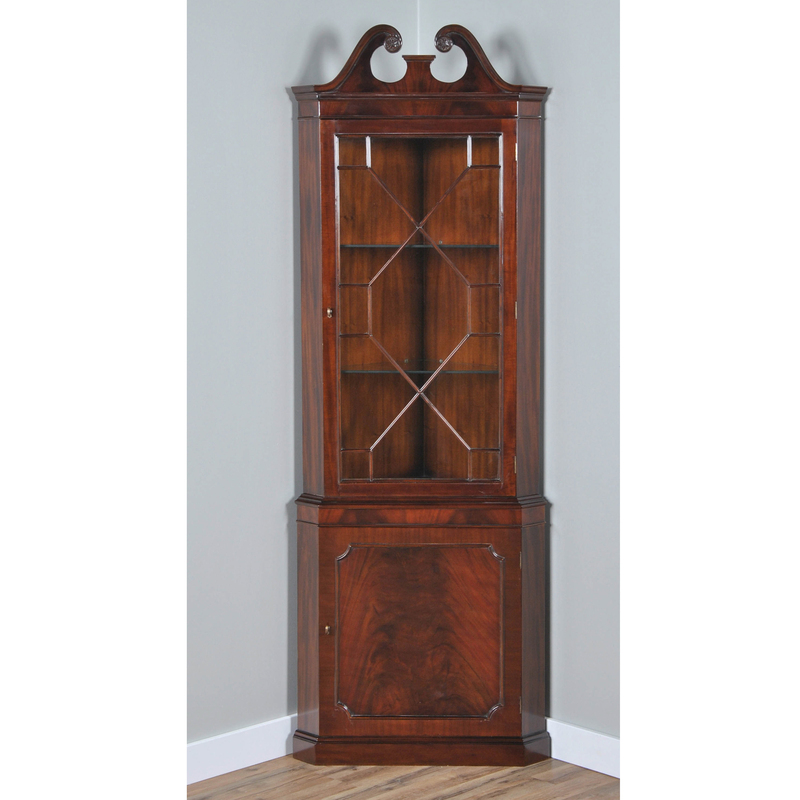 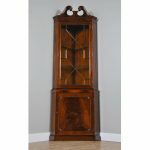 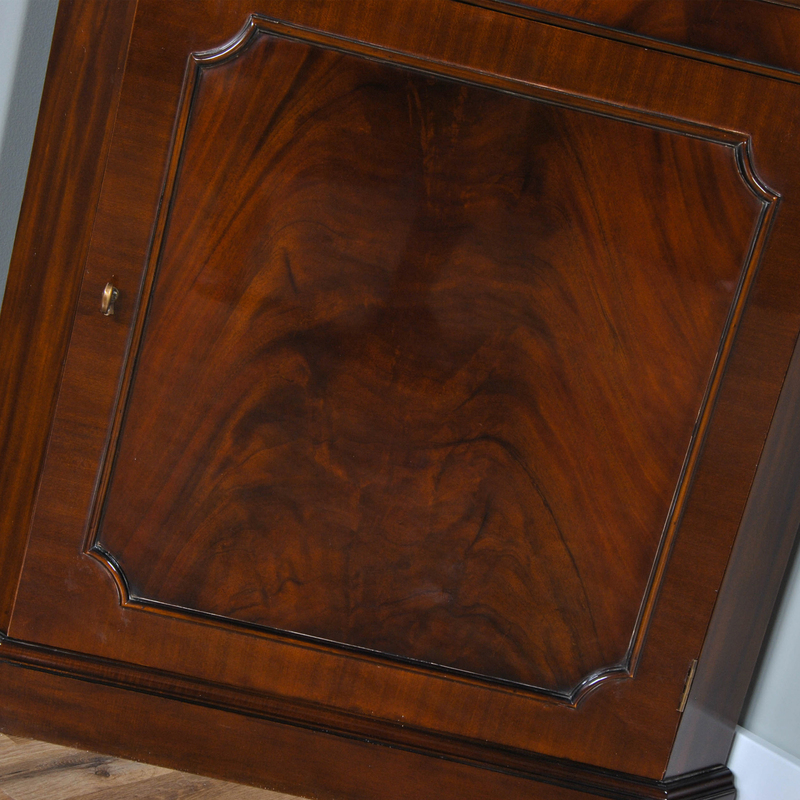 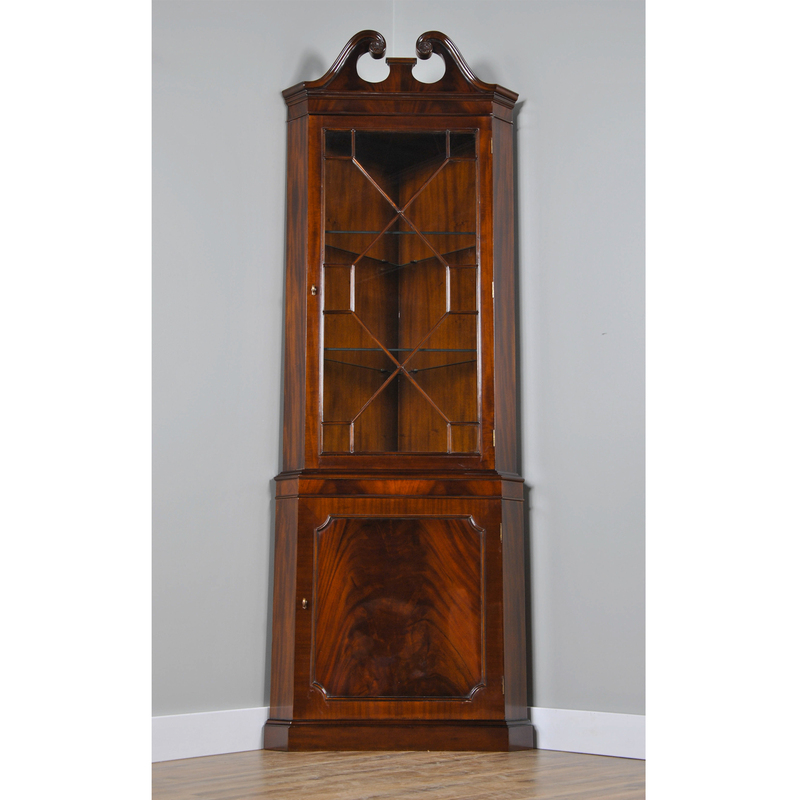 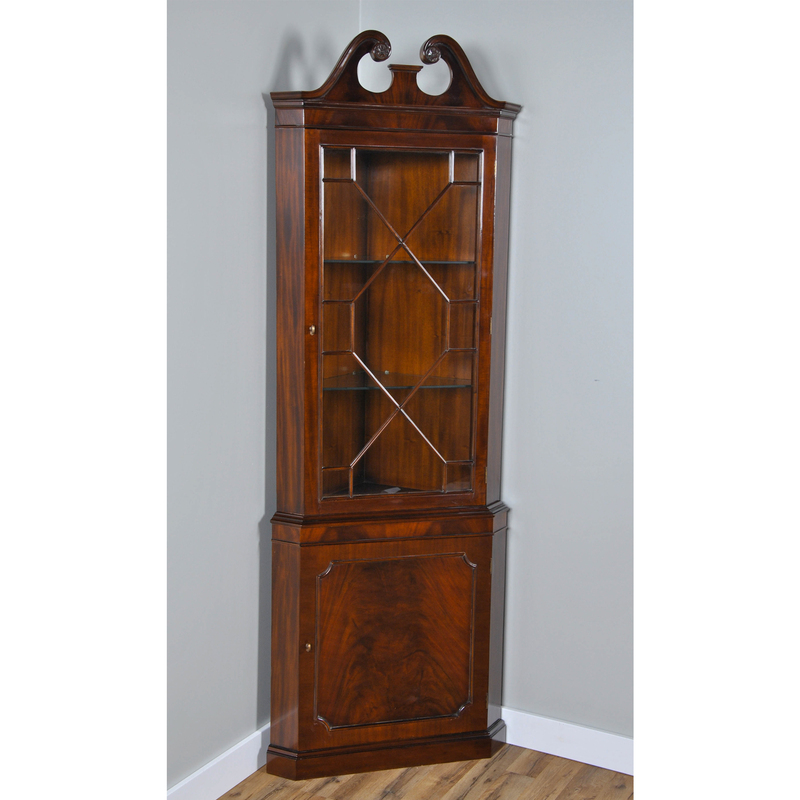 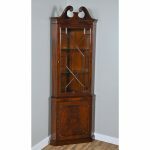 The Niagara Furniture Mahogany Corner Cabinet. 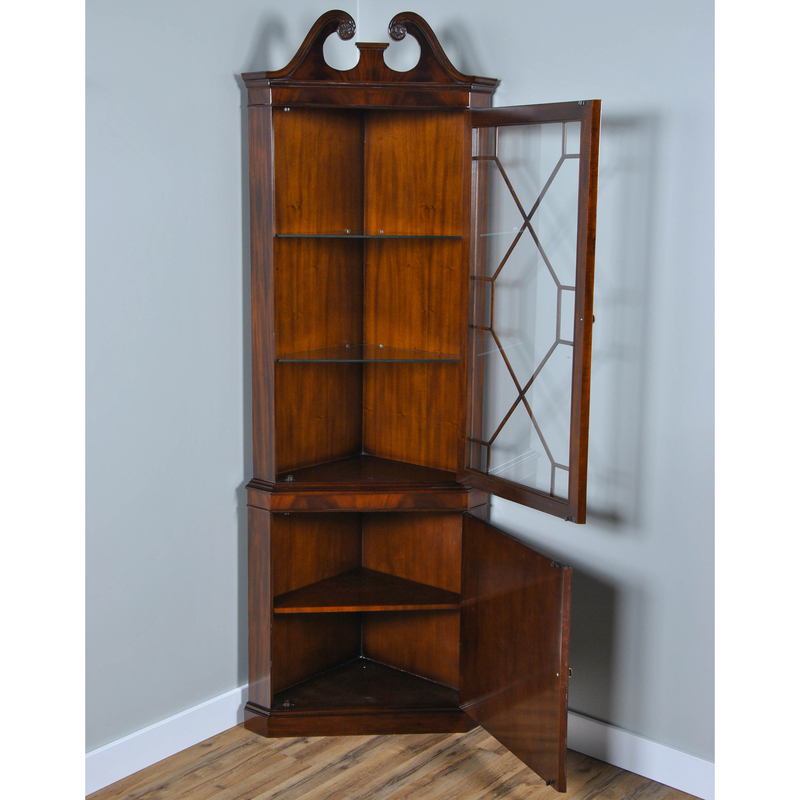 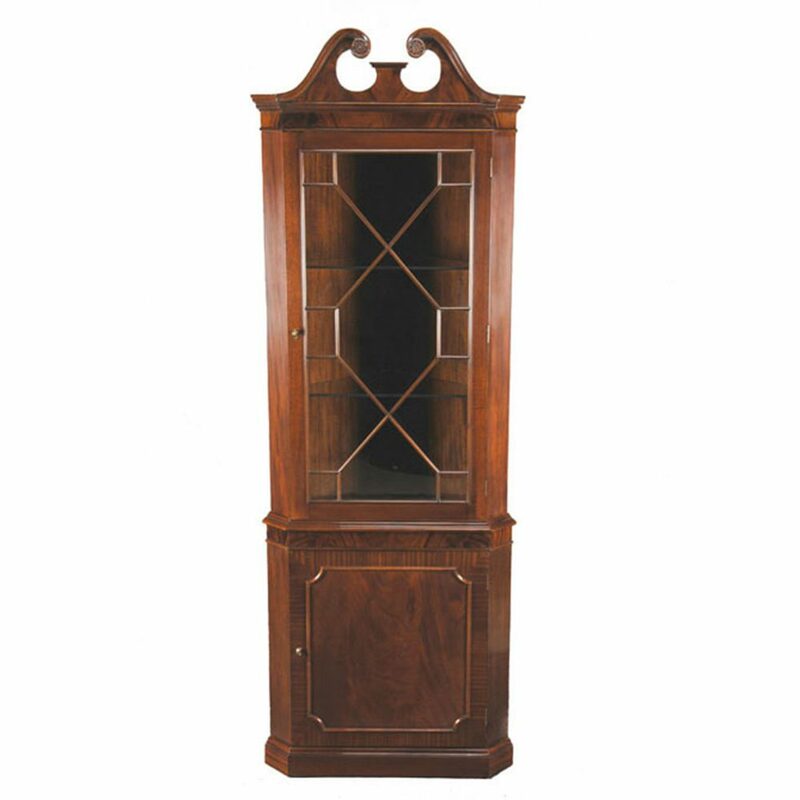 A two part Corner China Closet which can be shipped and installed easily is made from kiln dried, plantation grown mahogany solids and mahogany veneers. 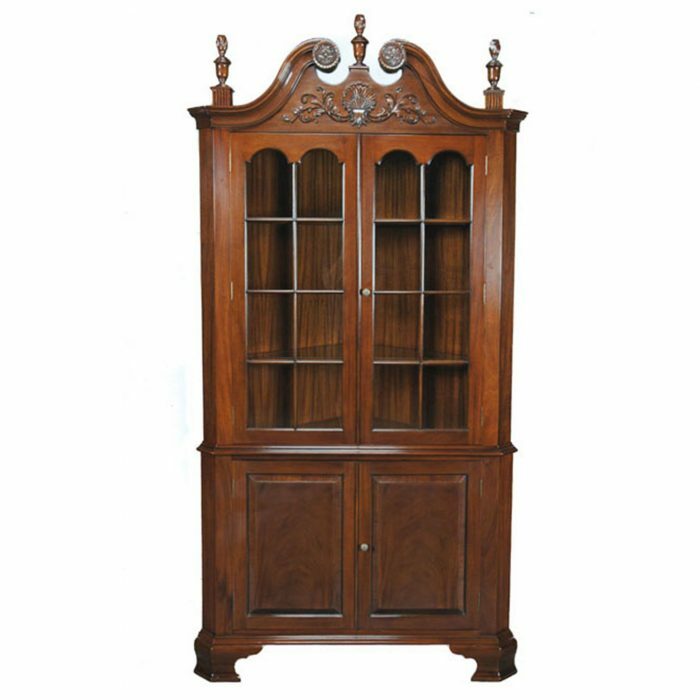 Our corner china features a broken arch, swan neck pediment on the top with hand carved rosettes. 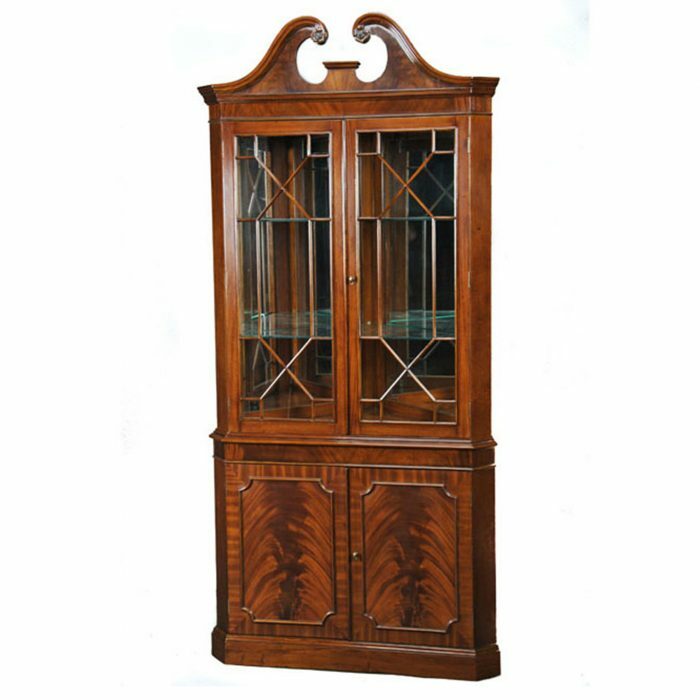 The top section has lovely lattice work in the doors and the solid mahogany and glass doors open to reveal two fitted glass shelves. The bottom section of the Mahogany Corner Cabinet having a single interior wooden shelf which can be removed should you wish to store taller items. 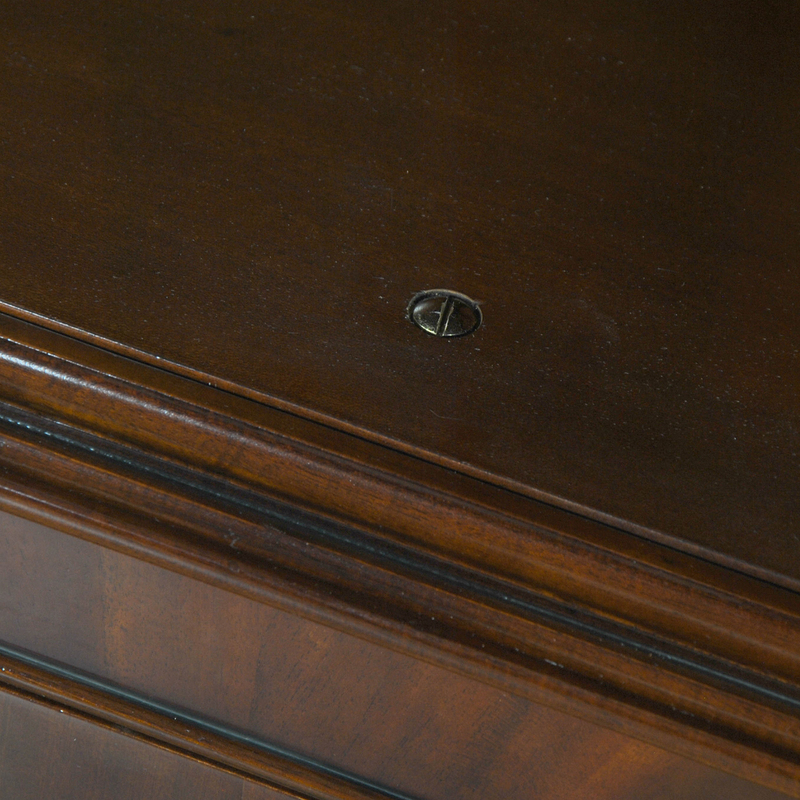 A single screw helps secure the top to the base.